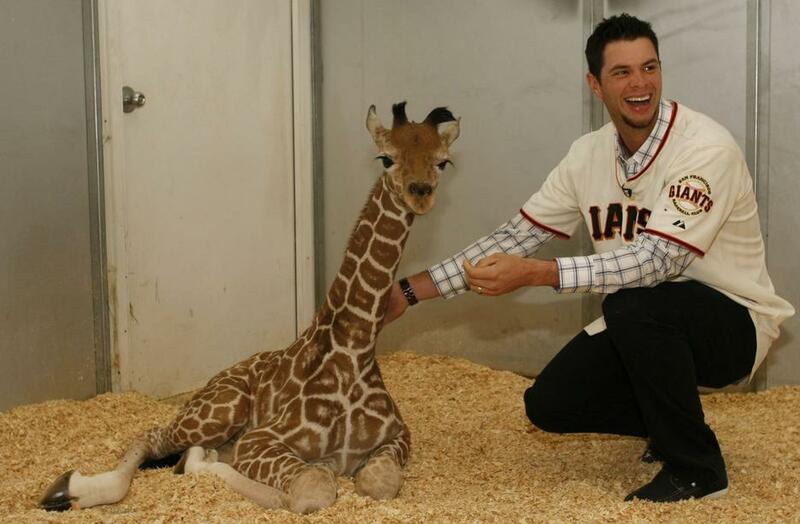 In a story so sickeningly adorable I actually threw up in a pink Red Sox hat, Brandon Belt recently took pictures with the baby giraffe named after him. While the Giants rookie first baseman isn't enjoying the ROY caliber season many of us expected, Belt did become the recipient of a nickname spreading in popularity just as quickly as teammate Pablo Sandoval's "Kung-Fu Panda" did. Announcer Duane Kuiper bestowed the nickname "Baby Giraffe" upon Belt due to his, let's say, lack of grace in the outfield. Brandon explaining,"Opulence, I has it." Baby Giraffe caught looking at an 0-2 off speed pitch. 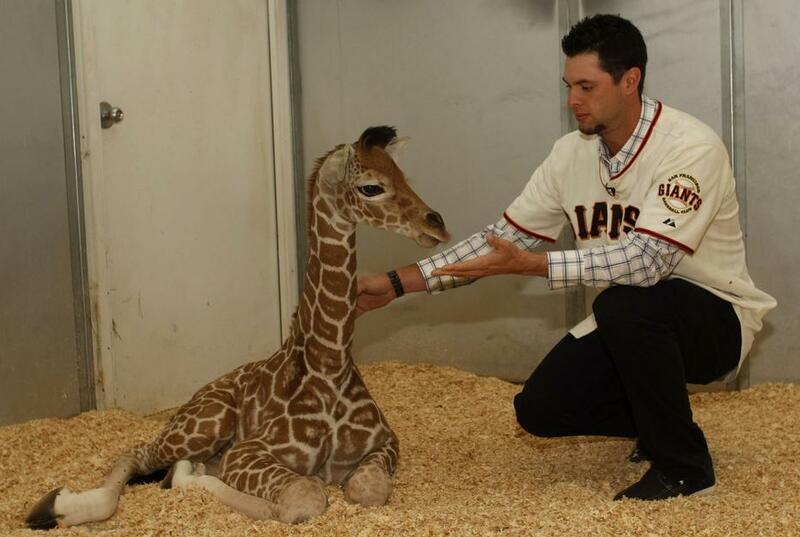 Tim Lincecum is going to be so pissed Brandon Belt fed that to a giraffe. 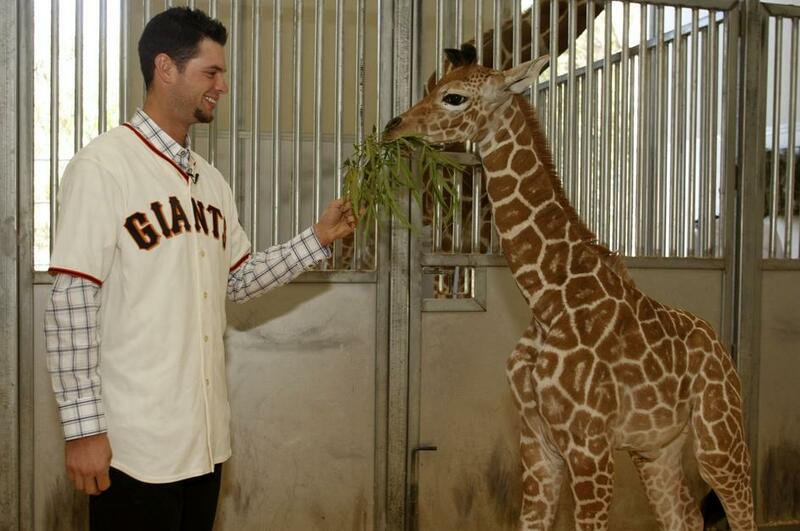 Hello Brandon, I am an avid giraffe lover and admirer. 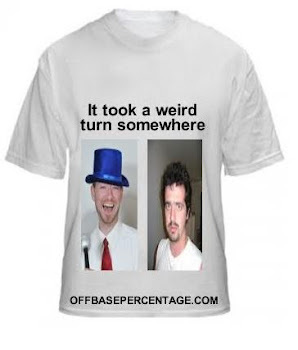 Lets get down to business Brandon, Me and my colluege have recently discovered time travel, We've found to finish time travel one needs the company of one giraffe and one chosen one of the name Brandon according to the ancient scripts. We must act quick brandon, we don't have much time left, we must begin time travel preparations, we have a long road ahead of us brandon.